There's a pattern of airline glitches which illustrate the risks of centralized systems. Whether these are simply the ones most often publicized, or whether they are the most stressed is unclear, but there's far too much to report on from that one sector. 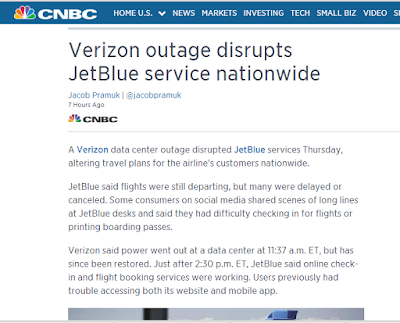 One among multiple media reports of the outage was this one provided by CNBC. 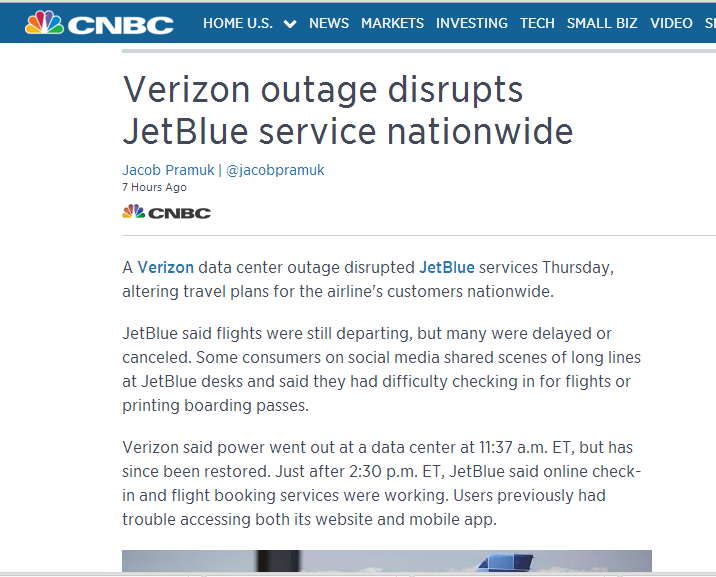 The airline reported that the cause was a power outage at a Verizon data center. The explanation, so far, stops there -- as though planning for a power outage wasn't part of operating a data center? ►Read previous GlitchReporter messages about airline glitches.